Polkadotpink’s Reviews & More is hosting a great giveaway for all your favorite puppies! 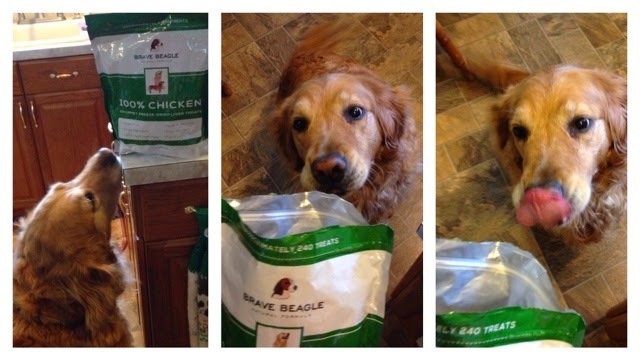 Brave Beagle has been awesome enough to provide 12 of my readers with the chance to win a bag of Brave Beagle‘s own 100% Chicken Liver Gourmet Dog Treats! As you can see below, my golden retriever, Roxy, absolutely loved these treats! A special thanks to the blogs helping to promote this giveaway- Rachel at My Life With ABC! Make sure to show them some love!